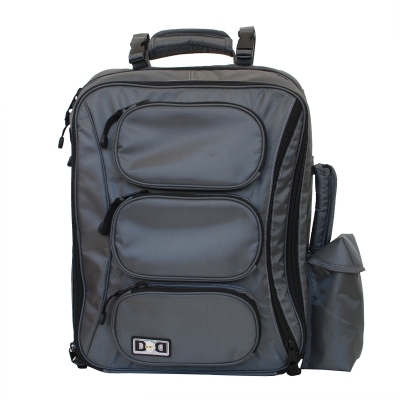 A diaper bag that dad won't shy away from! This cool sack has sporty backpack/messenger styling and lots of handy features for on-the-go parents. Wide, adjustable strap has padded panel and clips for easy on-and-off. So many pockets are great. Fabulous! finally a diaper bag for Dad, or even Mom's who don't want to be frilly or walkabout with characters on them!